South Africa's Statistician-General and head of Statistics South Africa (Stats SA), Risenga Maluleke, has urged commercial farmers to participate in an agricultural census starting next week. Stats SA is set to embark on a countrywide Census of Commercial Agriculture, commencing Monday 15 October 2018. About 600 field staff will visit commercial farms across the country to establish the number of commercial farmers, farm size, crop type being farmed in different geographic areas, and agricultural inputs such as irrigation usage. This year marks the centenary of agricultural censuses for the country. South Africa conducted its first Census of Commercial Agriculture in 1918. The United Nations body, Food and Agricultural Organisation (FAO) recommends that country's conduct a census of commercial agriculture every ten years. South Africa last conducted an agricultural census in 2007. The agricultural census will cover commercial farmers, which are farms producing for income or profit, says Statistician-General Risenga Maluleke. Mr Maluleke said CoCA 2017 was important for helping investors make evidence-based decisions. He stated that the agricultural census also helped government with providing data for assessing the severity of food insecurity. "The general objective of the census of commercial agriculture is to collect basic quantitative information on South Africa's agricultural sector and provide a snap shot of the sector. This information is essential for planning, policy formulation, and measuring food security," said the Statistician-General. "I would like to urge farmers to cooperate with our fieldworkers and participate in the agricultural census. This data is the only source of comprehensive and impartial data about agriculture. As required by the Statistics Act, we may not disclose any personal information," said the Statistician-General. Stats SA has signed a Memorandum of Understanding with the Department of Agriculture, Forestry and Fisheries; but will collect the information independently as the national statistics office of the country. The agricultural census field staff will count the number of holdings, crop types grown in different geographic regions, and number of livestock each farm has. 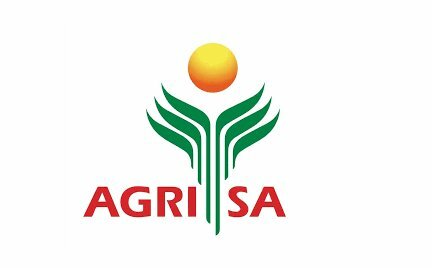 Stats SA will conduct the agricultural census from 15 October 2018 until June 2019. The survey will also be instrumental in providing data for monitoring progress towards meeting the SDGs Goal 1: No Poverty, End poverty in all its forms. Role and involvement of women in agriculture will also be assessed through this census. Results of the report will released in November 2019.